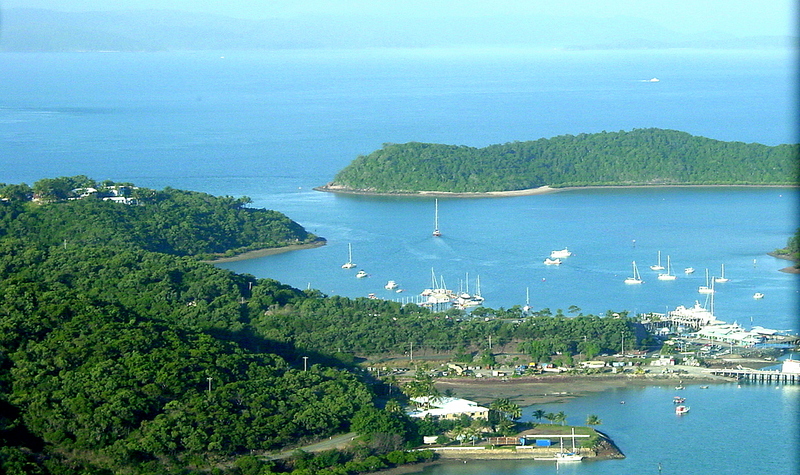 It is well known that there are plenty of shopping and dining opportunities for the people who have to stay long enough to the airport. 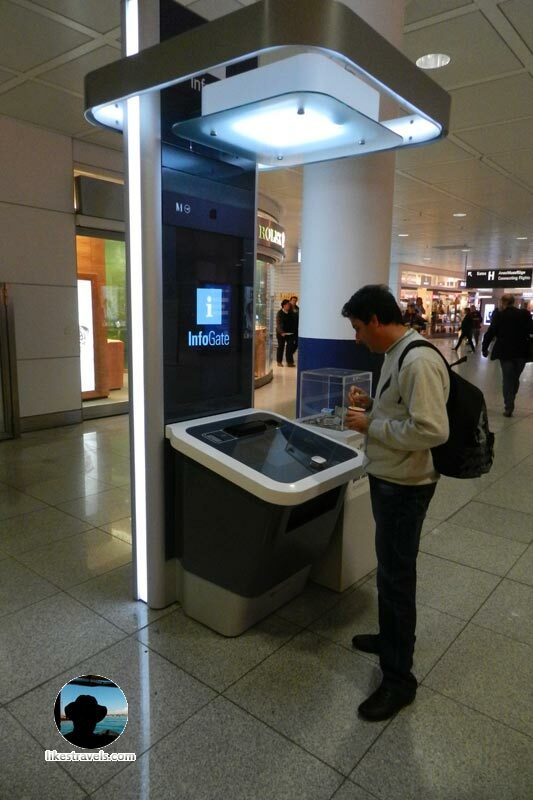 The best way to find what you need is to take an airport map or to play with some of the modern info gates that are installed at Munich airport. Thanks to these fancy devices you will know where you are, what is around you and in the meanwhile you will kill some extra minutes. If you don’t have much time between your connections to sit in a café, you can take advantage of one of the many so called “Service stations” - self-services coffee machines, which are placed between gates. You can choose between at least 10 different type of coffee drinks and there is tea, also. 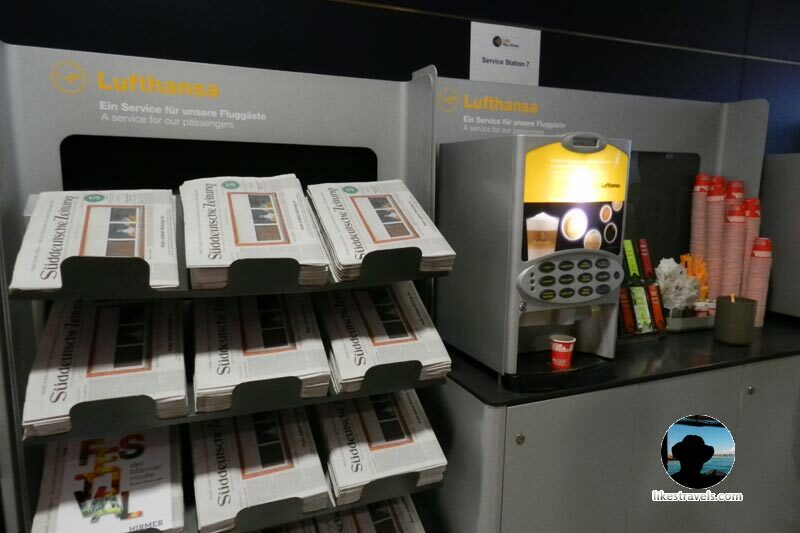 All that is FREE and is a compliment by Lufthansa! There are stands with FREE newspapers and magazines, also . I notice that, such service stations are missing at the level, where H gates are, so if you have a chance to go to G gates level, you will definitely find them. 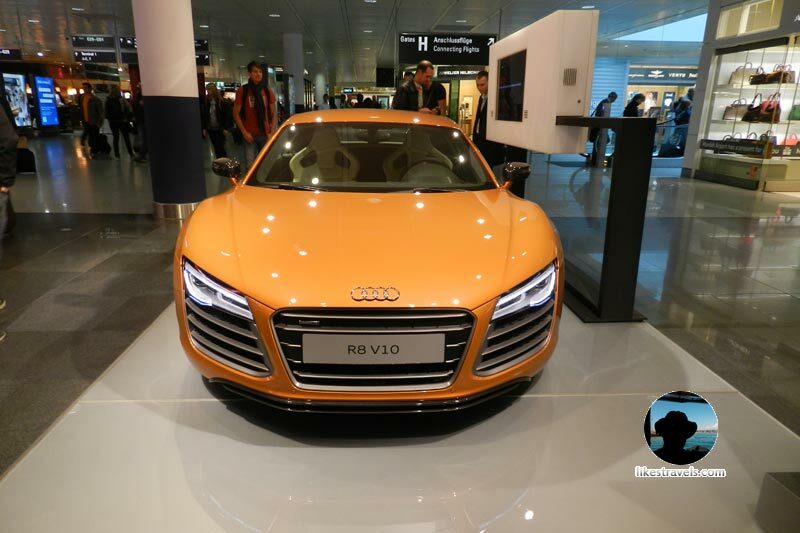 What else to do at Munich airport ? You could spend some time, taking care about your shoes. 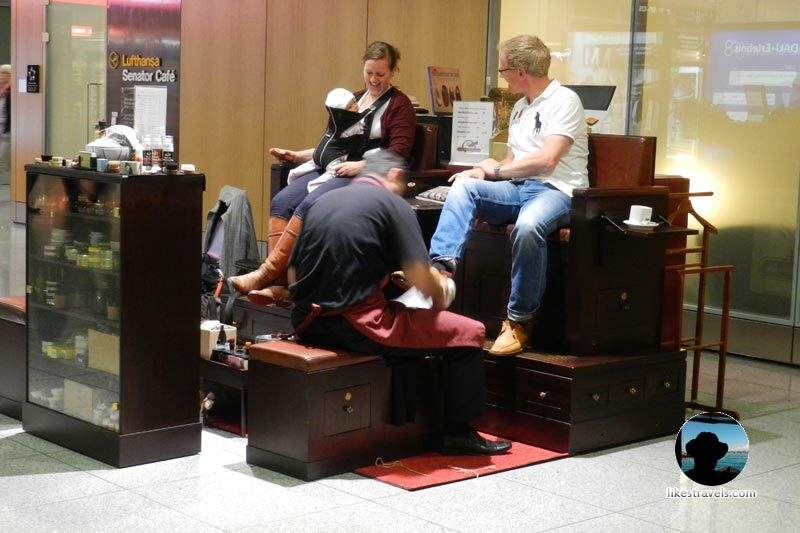 I found a place, where for €7 – €12, your shoes will be well cleaned and shined. After that, walking with your “new” shoes, you will probably come across two fabulous cars exhibited near to one of the free shops. This is the place, where most of the people stop and start making pictures with those German premium cars. 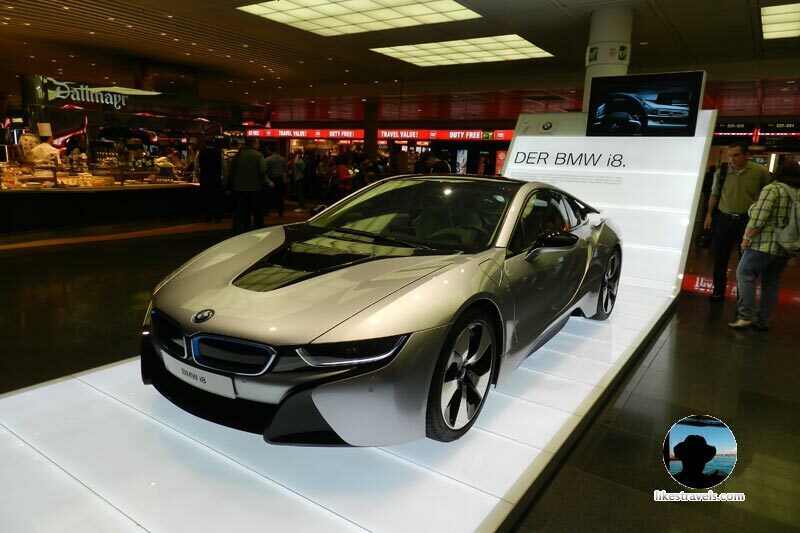 One of them is the plug-in hybrid BMW i8 (we are at Bavaria at all ) and the other one is Audi R8 - V10. I’m sure, you will enjoy those two vehicles and in the meanwhile, you will waste another at least 10 minutes. 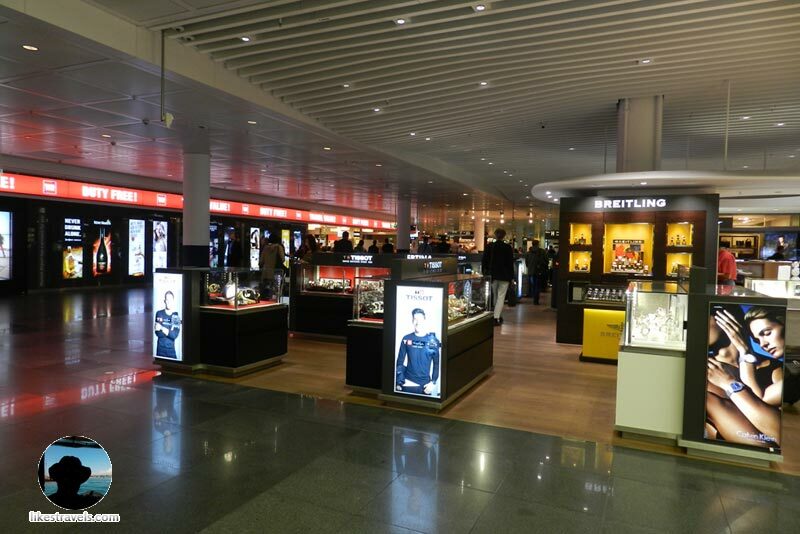 Of course, may be next time, there will be other models and brands at the airport. Visit Cosmetic Institute if you need manicures or cosmetic facial and body treatments. If you need a barber - Brants Barber & Shop offers haircut, shave and manicure for gentlemen only. What to do, if you are with your kids ? Children don’t care about their shoes and shiny cars. 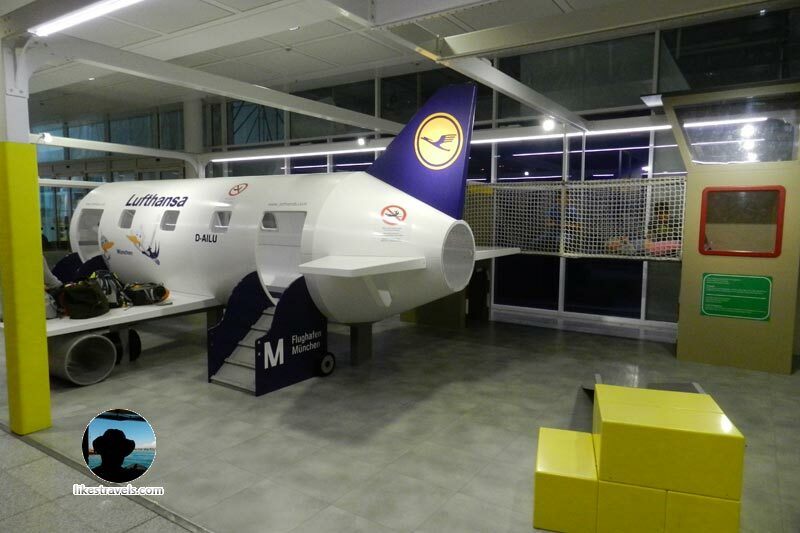 So, if you don’t want to go into some of the shops, buying them some useless toys, Munich airport will surprise you with original playgrounds and kid corners, some of them created probably by Lufthansa. You could enjoy your free coffee, while you kid is safely playing around. 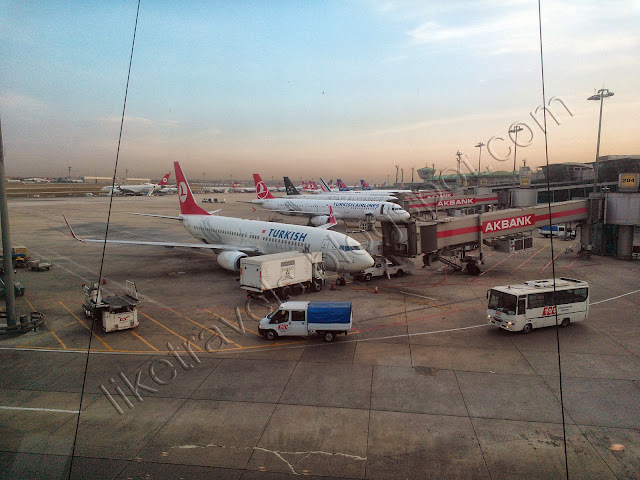 If you are going to fly to Istanbul, check for some useful tips for Istanbul Ataturk Airport. You know more than us, so help people out by sharing your travel experience. In one of my business trips to Sevastopol, Ukraine I had to fly through Istanbul Ataturk Аirport - to Simferopol - Ukraine. I landed at Istanbul airport shortly before midnight. Just at that time there were the demonstrations against Government at Taksim Square and my initial plans for a midnight stroll through Istanbul failed. My flight to Simferopol was after less than 7 hours and I decided to spend the night walking through the airport instead of sleeping in TAV airport hotel, although there are many hotels around the airport , also. Ataturk Аirport is not as big transfers airport, but as it is at the crossroad between Europe and Asia, I found it is an interesting idea to look around and watch the hurrying people who obviously were from all over the world, from all races and religions. Dressed in traditional clothing typical for its own culture, people bustled among the numerous free shops, gates and information desks.